I have never really fancied visiting Dubai. The thought of arctic air-con, ‘birkini’ clad water parks and constant construction work fills me with dread. 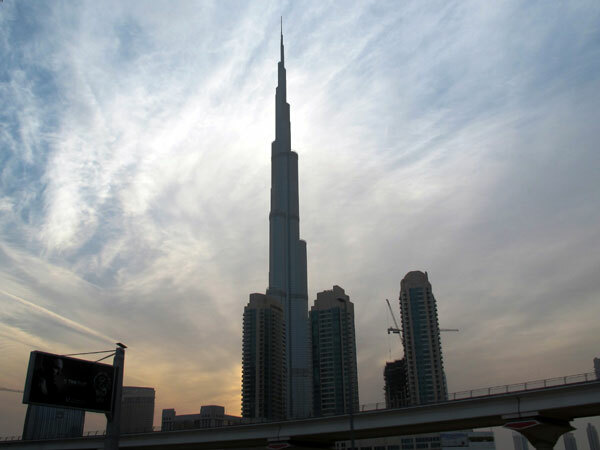 Dubai to me has always been like liver, or spinning – I do not need to try it to know that I won’t like it. Undeterred, I checked in at the esteemed Grosvenor House Hotel, located by Dubai Marina. Its entrance hall is stereotypically lavish; polished marble with an enormous jewel-encrusted eagle keeping a watchful eye over its exclusive clientele. Having dumped my bags I headed off to explore the quayside. Lined with Arabic and Lebanese cafes and bars, the fruity scent of shisha bellows along the water’s edge as traditionally dressed men puff away over a game of cards and women flip open their abayas to smuggle in a drag of shisha. The other side of the water was a hive of activity but I couldn’t for the life of me work out how to reach it; you see, despite my best efforts, walking is a no-go in Dubai and the roads are like frustratingly illogical Scalextric sets. After a couple of hours determinedly attempting to sprint across motorways and vault barriers I dejectedly jumped in a taxi and soon found myself stretched out on a white sandy beach with the turquoise blue sea ricocheting along the shore, against the backdrop of the iconic self-declared seven-star Burj al Arab and the impressive Burj Khalifa; the world’s tallest building. 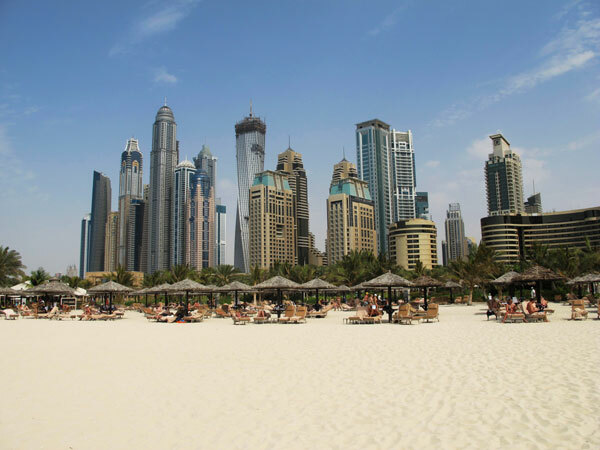 Annoyingly, I quickly realised that life in Dubai was much easier when you played by the rules. After a tough morning sunbathing, I returned to the hotel in search of a touch of R&R at their decadently stylish spa, B/Altitude. Oozing Arabic glamour, the gold and black spa displayed an impressive array of sunken hydro pools varying from a chilly 18 degrees up to a pore-tingling 38 degrees. After a blissful massage, I was ready to hit the town and there was only one place for it: ladies night. 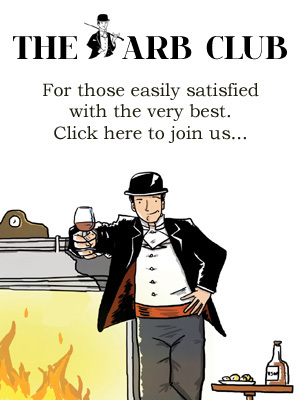 As much as tarmac-lined beaches and soaring skyscrapers repel me, there is just no fighting free espresso martinis overlooking the twinkling city. As I waited for a friend and caught up on my emails in a nearby hotel lobby, a strange little creature of a man invited me for a drink. I politely declined. He pestered on. “I’m working,” I responded. “Great, soooo…shall we swap love tokens?” he asked eagerly. I stared at him, baffled, until it clicked. In retrospect, maybe ‘I’m working’ whilst dressed to the nines and sitting alone in a swanky hotel bar wasn’t my best line. Definitely time for a testosterone free ladies night! Minutes later I was drowning my sorrows at the top of Burj Khalifa. As I stood sipping my complimentary chilled champagne amidst hoards of glamorous women, overlooking the glittering illuminated city below, I suddenly understood Dubai. You have to play the game. But…I still wasn’t quite done on my pursuit of culture, so at the crack of dawn (with a somewhat fuzzy head) I was necking my coffee, grabbing my guide book and chasing a rumour of an ‘Old Town’. Soon the city’s gleaming tower blocks and tangle of motorways was replaced by winding stone walkways and lively souks. 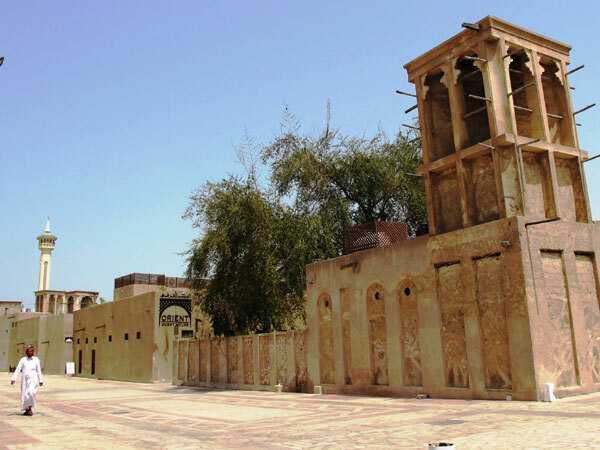 Bastakiya’s fortress-like walls hide the galleries, museums and cafes that line the bustling creek, awash with traditional Abra boats ferrying locals from one side to the other. Bingo. Where Iranian settlers once lived in houses built from coral, today it’s a creative hub that is home to various art installations and the Dubai Museum. 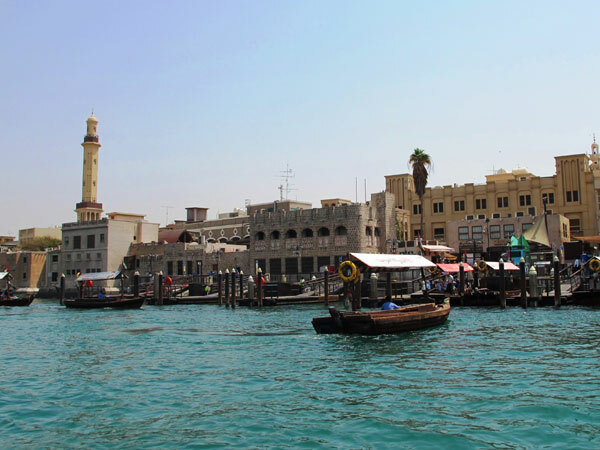 This may seem like a strange concept for a city which seemingly has no past, yet it provides a fascinating insight into the city’s pearl diving history. Nearby Basta Arts Café serves delicious cold avocado juice in its cosy courtyard adorned with colourful paintings and vivid bougainvillea. Refreshed, I made my way through the hectic textile market awash with colourful silks. With cries of “cheap, cheap” these are largely aimed at tourists but add a shot of colour nonetheless. At the water’s edge, I jumped on board an abra bound for Diera. 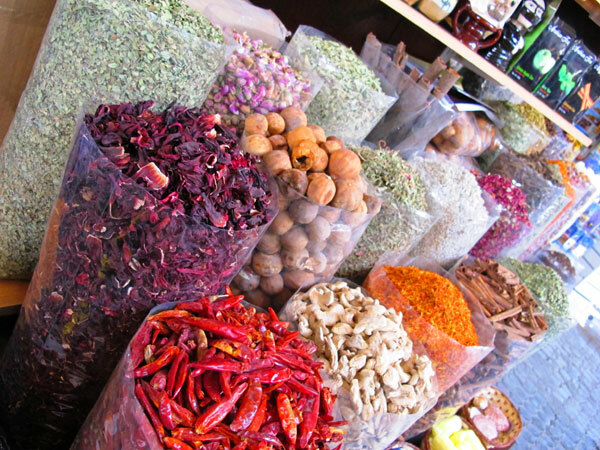 I was greeted by the fragrant spice souk; stalls piled high with bags of spice in every colour. Further back lays the Gold Souk, where the streets are literally paved with gold and eager eyes are glued to every window. As I meandered back to the river, I felt ever so slightly smug as the call to prayer from the mosque reverberated through the alleys and the locals ran circles around me; I had found a little corner of culture in the metropolis. When my taxi driver peeled off the main road in the dead of night and began heading down a dirt track into the wilderness, I instantly regretted religiously updating my movements on Twitter, expecting my kidnapper to noose me up at any second. Unsurprisingly this was my sleep-deprived imagination in overdrive and eventually the flickering torches of the Al Maha Desert Resort were welcoming us. A cheerful man quickly scooped me up and ferried me to my suite by golf buggy. I was awoken as he stamped on the brakes as a wild looking Oryx in our way eyed us up wearing his metre long horns with pride. I must have been dreaming, surely. Having woken up the next morning with no recollection of where I was or how I got there, I excitedly threw open my curtains and let out a high-pitched screech as two gazelles looked at the mad half-naked pasty Brit in confusion before quickly fleeing. After spending a few minutes debating whether or not I should be offended, I looked around in disbelief. Almost every wall of my octagonal lodge had floor to ceiling windows with uninterrupted views across miles and miles of desert broken only by the odd palm tree. Set within 225km of protected desert terrain, the resort is styled like a traditional Bedouin camp, with each suite masquerading as a tent. A tent with a 7ft bed, flat screen television, a swimming pool sized bath, 24 hour room service and sparkling private infinity pool that is. Now this is my kind of tent, glamping at its best. Many friends asked me if I would get lonely on my own and bored in the middle of nowhere, but Al Maha has an intrinsic sense of life. The place is evolving all the time. By its very nature the desert is never still, with the dunes gradually moving in waves every day. At the crack of dawn there is cumin coloured sand as far as the eye can see, yet it gradually intensifies with the sun and by late afternoon it is like a sea of rich paprika. As the sun sets, the local flora releases the smell of sweet pollen. The resort has 120 species of birds as its soundtrack, from wood pigeons to white cheeked bulbuls chattering away and it is impossible to go an hour without a gazelle bouncing past or a suspicious Oryx putting you in your place. Many flock here for rest and relaxation with the intention of using the 24 hour room service and private pools to the max, yet with such vibrant sights, smells and sounds surrounding you, it is impossible not to take advantage of the complimentary trips and activities on offer. Ten minutes in and feeling seriously queasy, I piped up to ask how much longer we’d be. “We are nearly there,” my driver told me. Phew. “Then we have an hour and a half of bashing,” she said as the others revelled in the idea. WHAT!? We had not even started yet and I was already close to meeting my muesli again. 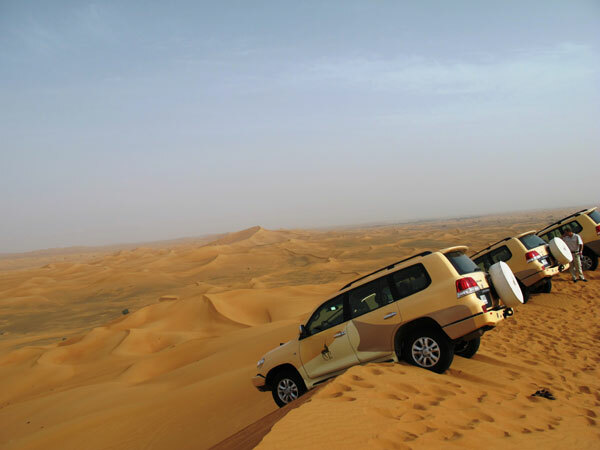 I took a deep breath and fixed my eyes on the horizon, grabbing my belt for dear life as we charged through the border and into the neighbouring emirate of Sharjah, smashing over the dunes one by one. A few minutes in and the driver’s nose started streaming with blood. I handed her a tissue which she dabbed her nose with whilst proceeding to romp around using just one hand. “See, if I can manage this with one hand I must be a good driver.” Taking an immediate dislike to the ‘if’, I proceeded to tell her to “ram that bad boy up your nose and get that other hand back on the wheel. NOW! Pleeease…” After half an hour of chucking people out en route to puke their guts up, we parked, teetering on the highest dune. Shakily, I waded my way through the sand, stunned by the view surrounding me. Miles of silent dunes; paradise. We headed back to the haven of Al Maha, scooping up fallen soldiers as we went. Nervously, I donned my jodhpurs and headed down to the on-site ranch where I met Mira, a beautiful mare with a lot of…personality. At a walk she was twice as fast as The Terminator’s horse and she decided to take his trotting to catch up as a signal to crank things up a notch. Soon we were charging through the desert plains, ducking branches and jumping bushes as we went. It was the most exhilarating ride of my life. Just hours later and I was back in the saddle, this time on a cranky camel which reluctantly dragged its feet through the desert until we reached the hotel rangers who were waiting for us with refreshing champagne, just in time for us to watch the sun set over our little Al Maha resort. Al Maha had restored my faith in Dubai. See, it’s not size that counts. Grosvenor House: Rooms start from AED 1,350 plus taxes on a bed and breakfast basis. For more information, rates and bookings, click here. 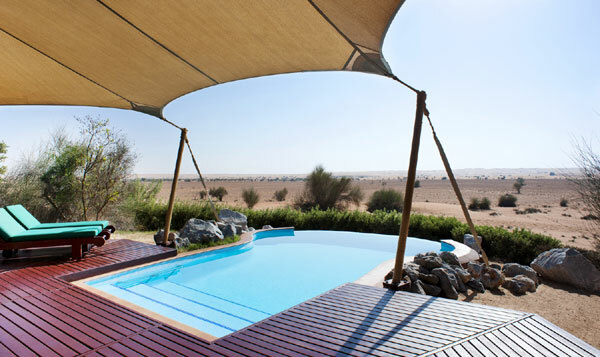 Al Maha: A Bedouin Suite, including complimentary breakfast, lunch and dinner and 2 desert activities per night, costs from AED 4,200 including taxes per night. For more information, rates and bookings, click here. 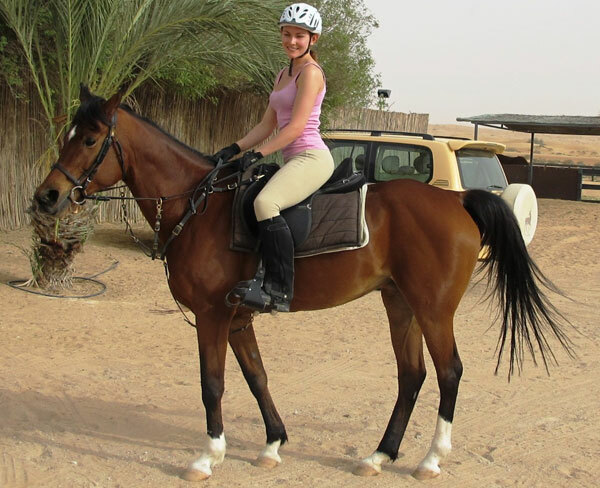 Jessica I came across your review whilst looking for info about Al Maha, (we are going there in January for our honeymoon), just wanted to say I’ve never laughed so much in ages, very funny and informative too! I really enjoyed it, thanks!